Ipe decking is, bar none, the most resilient, most dependable, and definitely one of the most beautiful decking materials money can buy. An integral part of many green building projects, Ipe has also proven to be an eco-friendly decking choice. What makes Ipe wood the so special? Read over detailed Ipe wood information to discover its natural qualities. With a Janka hardness rating of 3680, Ipe is over 8 times harder than California Redwood, 3 times harder than teak, and proven to outlast composite decking materials by decades. Moreover, ipe can do this without any chemicals. Ipe prices are also very affordable. 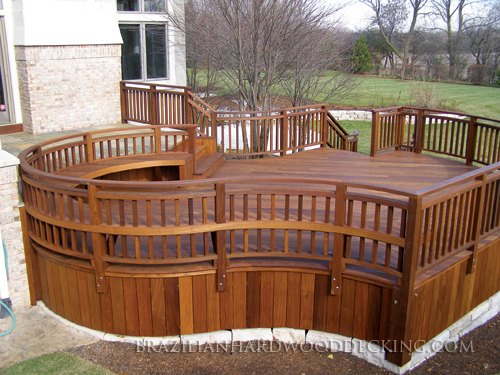 What's the best part about owning an ipe deck?